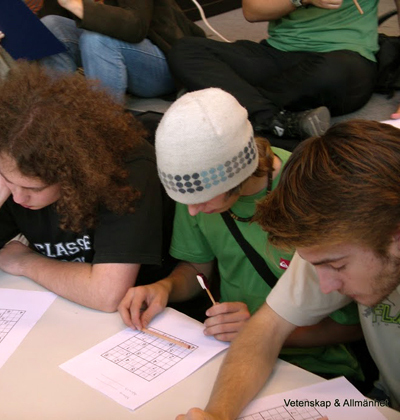 Visitors can to solve Sudoku puzzles or create their own Sudoku puzzles while talking to researchers about mathematics. Participants could also compete to see, for example, who can solve a Sudoku puzzle the fastest or create the best Sudoku. Target group: Suitable for slightly older target groups, as well as some young people. Preparations: Appoint someone who can run the activity. Decide on a venue and format. Organise the necessary materials and researchers. Market the activity. Challenges: Getting people to stop and participate task manager online. Benefits: Easy to arrange. Usually appreciated by a relatively small but highly engaged group of participants. There are limitless types of hands-on activities that you can run that are related to science and research. As a rule, you should involve one or more scientists who can explain the science behind the activity. Adapt the scientific level and material to suit the target audience. lead the activity. You can of course vary the scientific content and what is to be made. When planning, it is important to think about how many visitors you can realistically deal with. Many activities involving making things are particularly suitable for younger audiences because they are practical and can be made fun.